CARICOM Secretariat, Turkeyen, Greater Georgetown, Guyana - As part of its on-going efforts to advance the full implementation of the CARICOM Single Market and Economy (CSME), the CARICOM Secretariat is undertaking a six month project aimed at enhancing the distribution of information about the Single Market’s operations, regulatory systems and arrangements in CARICOM Member States. Regional consulting firm Deloitte & Touche is implementing this project in Antigua and Barbuda, St. Kitts and Nevis and Saint Lucia as part of the CARICOM Trade and Competitiveness Project (CTCP), facilitated with assistance from Canada. The project, which got underway at the start of July, will see the consultants work closely with stakeholders of the three Member States to develop new channels of communication; build capacity at the national level to sustain those channels and information flows; and provide audio-visual material which clearly communicates the CSME’s benefits, rules and regulations to potential beneficiaries. Training and tools will be targeted specifically to key stakeholders including staff within the CSME line Ministries as well as media workers, including those operating in the social media and new media space. Crucially, there is also a curriculum development component, which will help teachers integrate information about CSME into their classroom activities. The project was developed in response to an expressed need from CARICOM Heads of Government for increased and targeted awareness activities for the CSME. 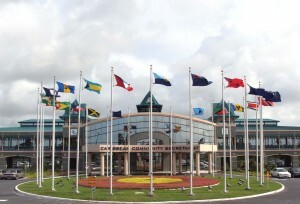 CARICOM nationals are entitled to a number of rights enshrined in the laws of participating Member States including the right to establish businesses; provide services; and move capital in accordance with specific provisions. Additionally, CARICOM skilled nationals have the right to travel, live and work in a participating Member State of their choice. While there is a high level of knowledge about the existence of these rights, CARICOM nationals have not been accessing these benefits as anticipated. This project, the first of several across the region, aims to stimulate greater accessing of the opportunities provided by the CSME.